Selecting an orthodontist may seem like a daunting task for someone who has never been through it, so it's a great idea to ask for a recommendation from someone who has. Whether it's a friend, co-worker, or family member, they'll probably be more than happy to share their first-hand experience. Your general dentist is also a great resource to get a recommendation. Once you've gotten some recommendations, find out about the doctor's educational background, where they went to school, and what kinds of continuing education or specialty training they've had. Make sure he or she is a member of the American Association of Orthodontists, as only doctors who have completed an accredited residency program are allowed membership into this specialty organization. Going above and beyond licensing requirements and becoming Board Certified by the American Board of Orthodontics signifies the doctor's pursuit of continued proficiency and excellence in orthodontics. Get aquainted with the doctor and staff during an office visit. Orthodontists have different treatment styles, so getting aquainted with the doctor and staff during an office visit is a great idea. It's important to feel comfortable with your orthodontist. Do they have a pleasant chairside manner? Do you feel like they're really paying attention to your concerns? Is the staff friendly and helpful? During your visit, don't be afraid to ask questions. After all, that's why you're there! 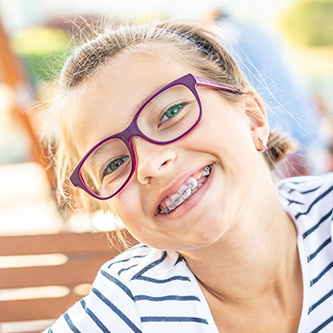 It's important for you to understand what type of orthodontic issues you have and the most effective ways to treat them. The more informed you are about your own dental health, the better decisions you will be able to make.